Prof. Omer Javed Shah, Director SKIMS, Soura, met Governor Satya Pal Malik at the Raj Bhavan here today. Shah extended warm greetings to Malik on his appointment as Governor of J&K.Prof. 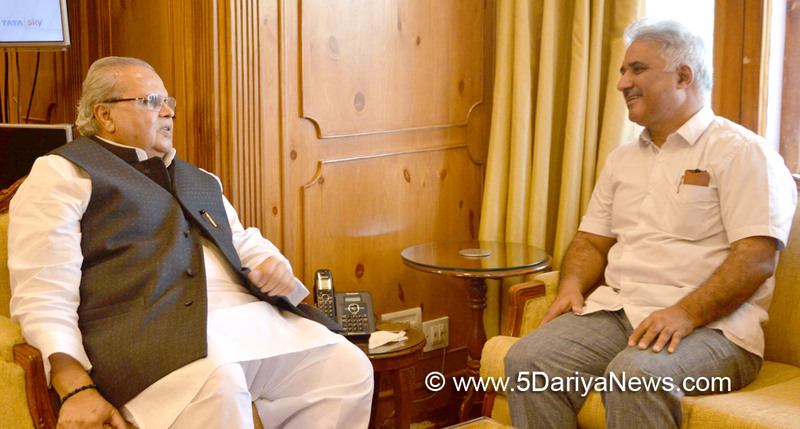 Shah briefed Governor about the functioning of the various specialties in the Institute. He discussed the plans for its future growth, particularly the infrastructural development.Governor advised Prof. Shah to attract the best talent, and maintain quality teaching and research in this premier institute of health care. He urged for providing quality health care services to people.